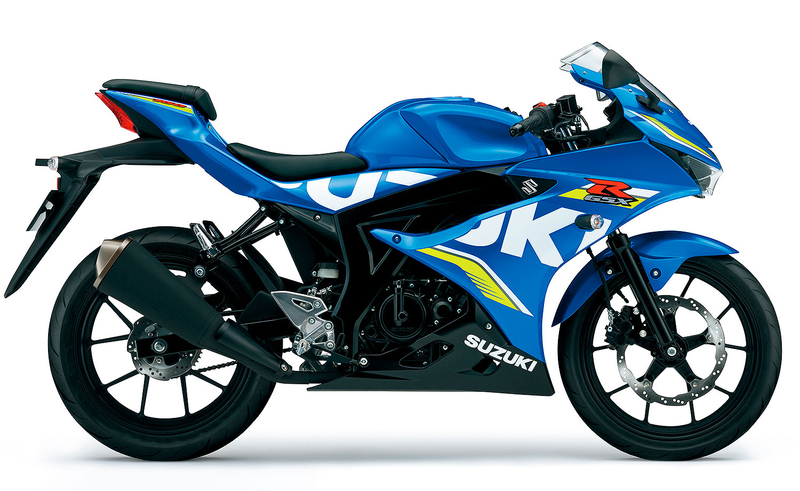 Suzuki showed off a GSX-R150 model at AIMExpo to gauge consumer interest in the small-displacement sportbike. 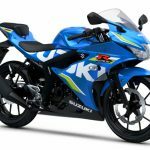 The bike is already being offered in other markets, introduced in Asia earlier this year, and derived from the GSX-R125 that’s being sold in Europe. 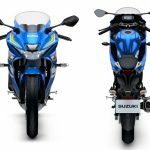 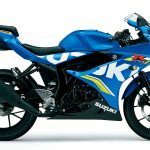 As it’s competitors push their entry-level sportbikes into larger displacements, Suzuki is considering going smaller and creating its own niche. 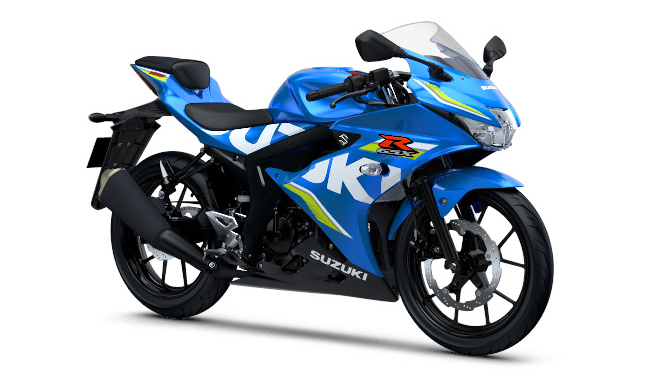 This isn’t the first time Suzuki has tried this tactic for the U.S. market. 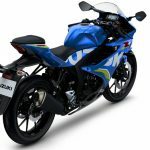 At last year’s AIMExpo, Suzuki did the same with the V-Strom 250, showcasing the adventure-style bike to an American audience to determine whether it was worth importing it to the U.S. (last we heard, Suzuki still hadn’t decided either way on the mini-Strom.) 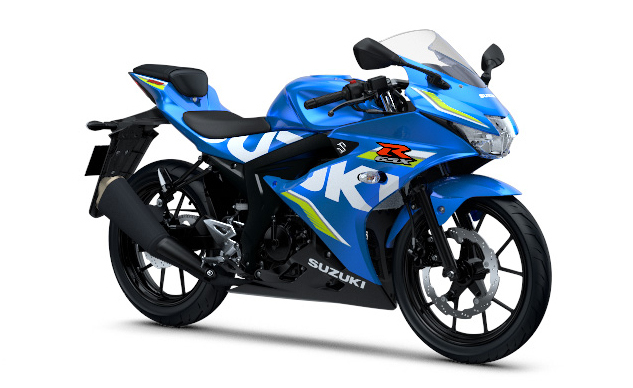 For a company like Suzuki, the smallest of the Japanese “Big Four” manufacturers, the margins are much slimmer and the costs of importing, homologation and marketing a new model needs to be balanced against consumer demand. 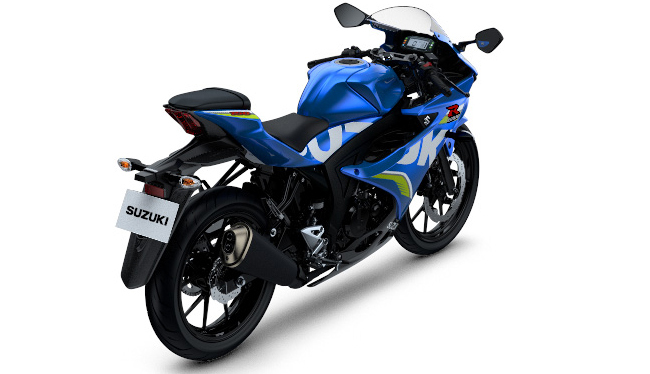 In Europe, Suzuki offers the GSX-R125 which has similar styling and a smaller engine to fit the A1 license tier. The GSX-R150 is powered by a fuel-injected DOHC four-valve single-cylinder engine displacing 147.3cc. 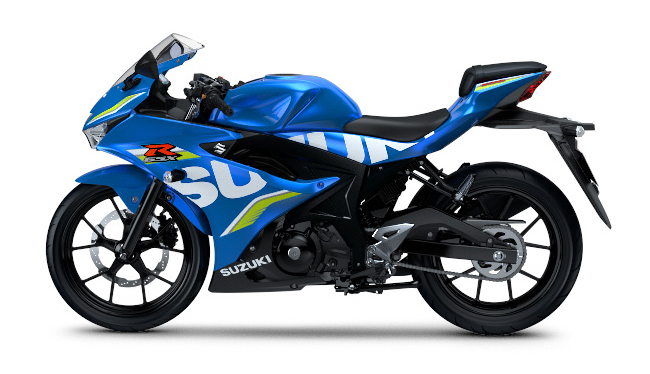 At this size, the GSX-R150 would fit into its own category, as most bikes in the U.S. offered in the sub-250 range are either scooters or air-cooled. 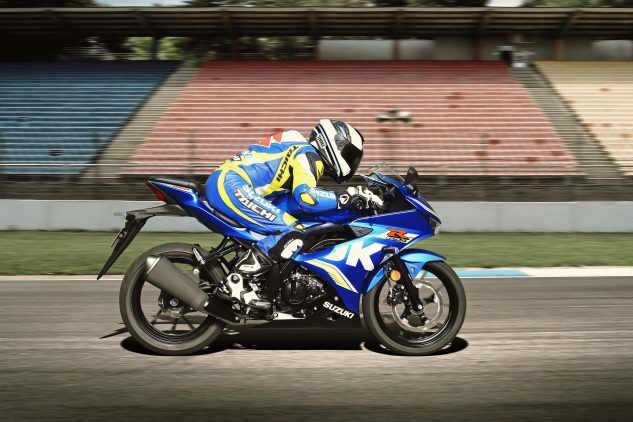 A 150 would also be much smaller than the entry-level models offered by competitors, such as the Honda CBR300R and Yamaha YZF-R3. 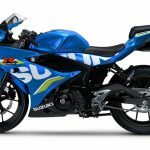 It would also buck the trend of small-displacement models getting larger and larger, which Kawasaki has done turning its Ninja 250 into a 300 and then a 400. 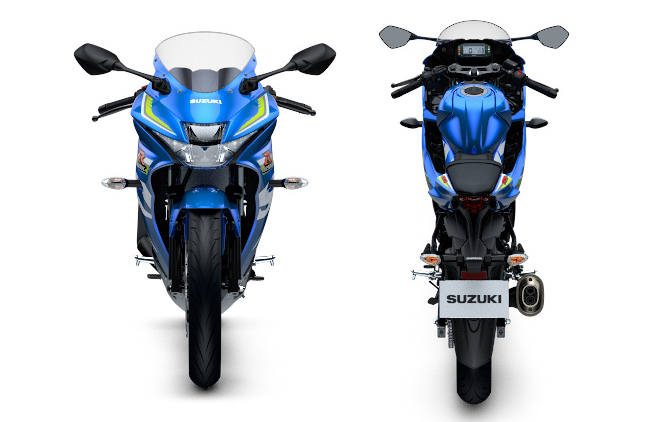 Going smaller might be a smart gambit for Suzuki, but only if there’s sufficient demand.